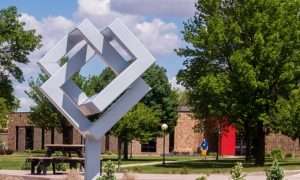 Stubbe serves as thePresident at Northwest Iowa Community College where she has been employed since 1991. After serving as a full-time faculty member in the Business Department at NCC for twelve years, she assumed the role of Vice President of Administration and Board Secretary/Treasurer which she held from July 2003 to July 2007. During a presidential search in the spring of 2005, she was also appointed to serve as Acting President. She later served as Vice President of Education & Learning Services. Stubbe became the President of NCC in May 2011.Stubbe earned a bachelor’s degree from Northwestern College, a Master’s of Business Administration from University of South Dakota, and a doctorate in Higher Education Administration from Iowa State University. Prior to NCC, she held positions in business as well as public and private education.